Mount Kilimanjaro, with 3 volcanic cones, is a dormant volcano in Tanzania. 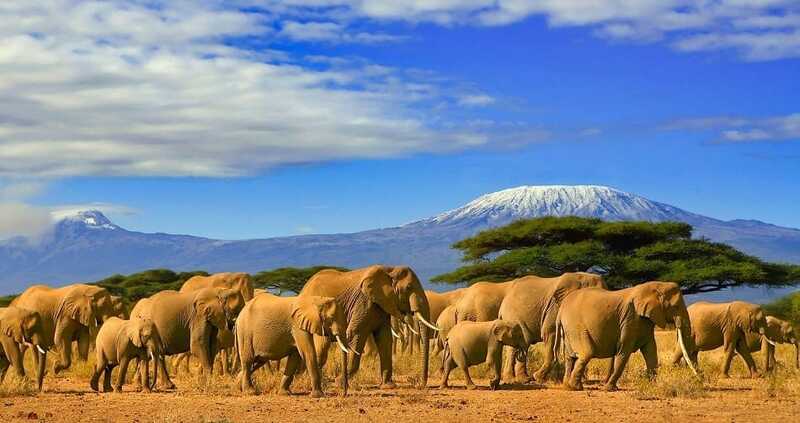 It is the highest mountain in Africa, and rises approximately 16,100 ft from its base to 19,341 ft above sea level. The first people reached the summit of the mountain in 1889. The mountain is part of the Kilimanjaro National Park and is a major climbing destination.